On April 4, 2016 guest bloggers Drs. Jacqueline Pratt Cleary and Joseph Gottwald (a student at the time) posted Buprenorphine, so misunderstood with, as you likely predicted, the old Dr. Pepper parody in tow. That blog focused on the newest buprenorphine dosage form approved by the FDA specifically for the management of chronic pain, Belbuca. This is a buccal dosage form which by definition is absorbed through the cheek. Included in that blog was a smattering on Butrans Transdermal which contains the same drug for delivery through the skin. I am bothered by the fact that many patients in dire need of buprenorphine to treat pain are unable to obtain either Belbuca or Butrans. Like it or not, a capitalistic healthcare system dictates which patients can and cannot obtain these drugs based on cost (instead of what’s best) in many ways similar to socialistic model. Nevertheless, many, if not most, primary care providers have never heard of Belbuca or Butrans. And those clinicians that do know of these products sometimes find themselves fighting with insurance carriers in order for patients to receive these drugs for a reasonable copay. Hundreds of emails to me have followed the release of these products, from desperate patients who have legitimate pain syndromes with comorbid opioid abuse disorder and in whom there is no desire and in fact an aversion to taking a pure opioid. But, insurance carriers in general couldn’t care less and would rather see these patients using more abusable drugs such as morphine, oxycodone, or hydrocodone in their generic non-abuse deterrent formulations because these formulations are cheap. And, the insurance carriers’ goal is to minimize expense and maximize profit. But to be fair, pharmaceutical manufacturers are also in business to make money. Notwithstanding, we all hope there is an altruistic side to both such that the patient’s best interest is considered. Dr. Fudin, I have legitimate pain. I make a little money but not much and my health insurance was cancelled in February. I purchased health insurance privately but my doctor refuses to send in the prior-authorization request because he said the insurance won’t pay for my medication unless I agree to work towards lowering the amount I take and see a psychiatrist. My visit and the Suboxone RX all together come to $480. Traveling there by train is another $70 all tolled it is $550. I have been paying for my prescription for 5 months and the collateral damage is tremendous. I understand that Suboxone is prescribed for addiction treatment. Thing is I get a lot of pain relief. I take 8mg/2mg, two to three times a day. It manages my pain and it is a miracle. I do not want to stop but I can’t afford it. I do not know what to do. NSAIDS and Acetaminophen seem to work synergistically with Suboxone. I am a good man who works every day and I want to just continue doing what I am doing but I can’t and I don’t understand why. This seems crazy to me. I started looking for solutions. I read that there is a drug called Belbuca that is actually FDA approved and indicated for pain. I don’t know if it is prescribed because I can’t find anybody who has ever heard of it. My doctor hasn’t and my pharmacist hasn’t. What bothers me about this more than anything is that if I was looking for a RX for Percocet 10/325 or Lorcet 10/650, there isn’t a problem financially. BUT, that is not an option for me so, if you can, I need help. Please advise? This is not to say that either manufacturer is or has encouraged the use of their products in higher risk patients – in fact it is just the opposite. Both companies have responsibly made it crystal clear in their professional package inserts and to their sales staff that these drugs by FDA regulation and approved indications carry the same risk warnings as pure opioids. Many logistical roadblocks exist to prescribing buprenorphine for pain. Current buprenorphine products approved for pain are expensive as they are available as branded, non-generic options only. Some providers have sought to get around this issue by prescribing alternative buprenorphine products that are considered off-label for pain, but more affordable. This practice has also created a dilemma. In July 2016, Tennessee passed an amendment to the Addiction Treatment Act prohibiting the off-label use of buprenorphine products that are indicated for opioid-dependence for pain management. Buprenorphine is used for pain at doses much lower than for treatment of opioid dependence.11 FDA approved formulations for pain include Buprenex® (injection), Butrans® (transdermal), and BelbucaTM (buccal).12-14 Products approved for opioid dependence include Zubsolv® (SL), Suboxone® (SL, Film), and Bunavail® (buccal) and are co-formulated with naloxone. 4, 15,16 A brief overview of different buprenorphine products can be viewed HERE. The biggest challenge in converting patients from a full opioid agonist to buprenorphine is the potential to induce withdrawal in the initial 1-2 week post initiation in opioid-dependent patients due to buprenorphine’s strong binding affinity displacing the former opioid agonist. Buprenorphine products approved for pain are available in lower doses (in micrograms) whereas products approved for substance abuse are available only in higher doses (in milligrams). Receptor occupancy at the mu-receptor for 2mg, 16mg, and 32mg doses are 24-47%, 85-92%, and 94-98% respectively. 19 In a randomized, double-blind, double-dummy, active controlled analysis of 70 of patients on morphine equivalent dose (MED) ≥ 80mg, patients were assigned to receive buccal buprenorphine at 50% of their MED or full mu-agonist (morphine or oxycodone) at 50% MED.20 Researchers used a 100:1 conversion factor from MED to buccal buprenorphine. Of the 35 patients receiving buccal buprenorphine, one patient experienced opioid withdrawal compared to 2 patients in the full mu-agonist group. There was no statistically significant difference in pain scores between both groups. Overall, the study suggests that switching patients to buccal buprenorphine at 50% of MED dose is comparable in safety and tolerability to reducing a patient to a 50% MED of their current regimen. Due to the aforementioned pharmacologic properties and presumed attributes, use of buprenorphine for chronic pain may offer a unique and safer alternative for patients at risk of opioid abuse disorder and for those with diminished pulmonary function that have no other options. A study attempting to examine this was just approved at the Stratton VA Medical Center in Albany NY under the direction of Drs. Fudin and Wegrzyn. This retrospective review is examining the use of Butrans® transdermal patch and BelbucaTM buccal film. Outcomes assessed will include differences between pre-treatment and current pain scores, morphine equivalent daily dose (MEDD) of opioids for breakthrough pain prior to and following initiating buprenorphine, number of visits to the ER or PCP for acute pain flare-ups, and whether or not patients remained or withdrew from therapy and the reasons for discontinuation. Preliminary results of this data are intended for presentation at #PainWeek2016 as a late breaking poster. Drs. Fudin and Wegrzyn hope to see some of you there to shake your hand and answer questions! This post was collaboratively written with Drs. Erica Wegrzyn and Mena Raouf. 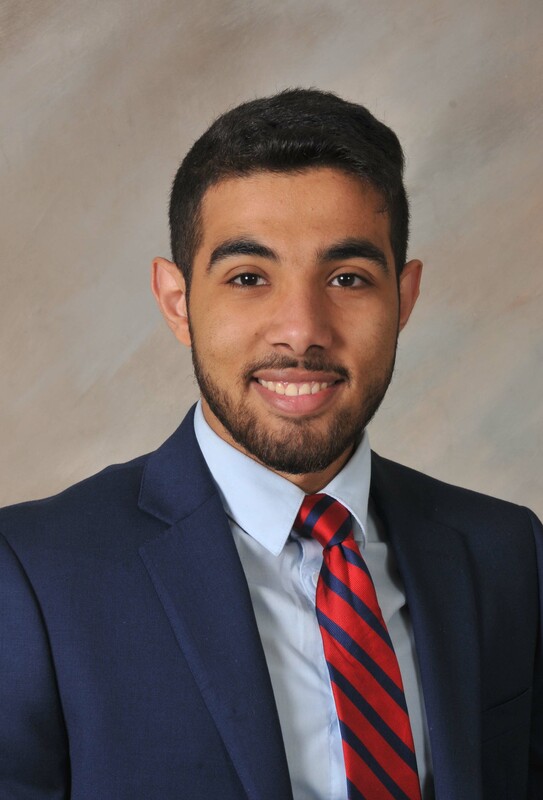 Dr. Raouf is a PGY-1 Pharmacy Resident at the VA Tennessee Valley Healthcare System in Nashville TN. He received his Pharm.D. from Albany College of Pharmacy in Health Sciences in Albany, NY with a concentration in nephrology. 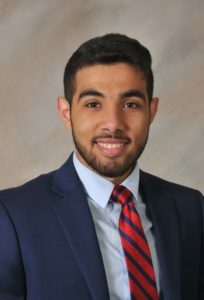 Dr. Raouf completed an advanced pharmacy practice rotation at the Stratton VA Medical Center under the mentorship of Dr. Fudin, where he developed a strong interest in pain management. Following his PGY-1 residency training, Dr. Raouf hopes to pursue a PGY-2 in Pain Management. Erica Wegrzyn, B.A., B.S., PharmD is currently completing a PGY-2 Pain and Palliative Care residency at the Stratton VA Medical Center, Albany NY. Dr. Wegrzyn received her PharmD from Western New England University College of Pharmacy, Springfield MA and completed a PGY-1 residency at Maine General Medical Center, Augusta ME. Prior to completing her PharmD, Dr. Wegrzyn also received her bachelors’ degrees in Biochemistry and Music (trombone) from Ithaca College. Dr. Wegrzyn’s initial interest in pain management was sparked by her exposure to Dr. Fudin’s pain practice during her final academic year while completing an advanced practice rotation at the Stratton VA Medical Center. In her new role as a PGY2 Resident she has already had an intense few weeks with three pending publications and is looking forward to some busy clinics starting next week. Dr. Wegrzyn thrilled to return to the Albany area where she is will resume her roles as a volunteer firefighter with Selkirk Fire District and also with “Out of the Pits” pitbull rescue. 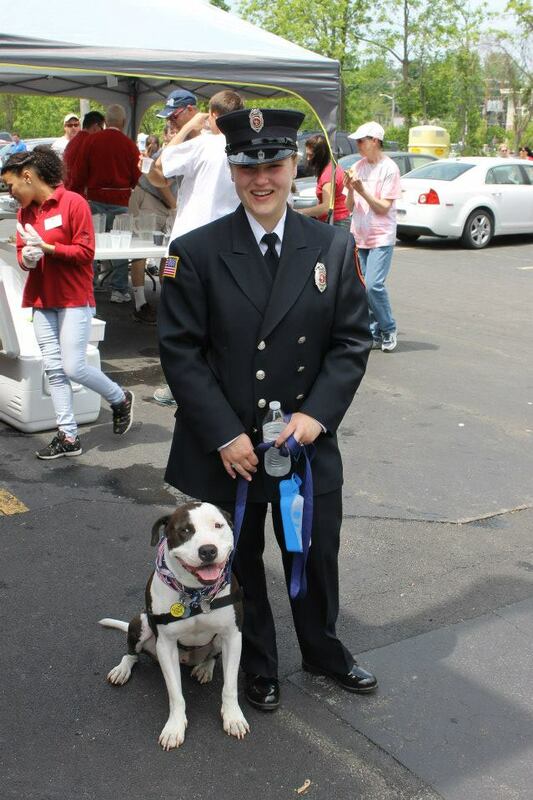 Dr. Wegrzyn is pictured here with her therapy certified and Selkirk FD resident fire dog, Blue. Lutfy K, Cowan A. Buprenorphine: A Unique Drug with Complex Pharmacology. Current neuropharmacology. 2004;2(4):395-402. Khanna IK, Pillarisetti S. Buprenorphine – an attractive opioid with underutilized potential in treatment of chronic pain. Journal of Pain Research. 2015;8:859-870. Suboxone [package insert]. Richmond, VA: Reckitt Benckiser Pharmaceuticals; September 2015. McLaughlin JP, Marton-Popovici M, Chavkin C (2003). Kappa opioid receptor antagonism and prodynorphin gene disruption block stress-induced behavioral responses. J Neurosci23: 5674–5683. Sacerdote P. Opioids and the immune system. Palliat Med. 2006;20 Suppl 1:s9-15. Chen KY, Chen L, Mao J. Buprenorphine-naloxone therapy in pain management. Anesthesiology. 2014 May;120(5):1262-74. Subutex [package insert]. Columbus (OH): Roxane Laboratories; February 2015. 24. Butrans [package insert]. Stamford (CT): Purdue Pharma; June 2014. Thank you for this article. As time has gone on more and more people in chronic pain are being cut off their pain medications. I wonder if Suboxone could help some people who are in pain I’ve read that the naloxone is just there to stop one from abusing the suboxone and prevents one from taking any other. opiates. If true then could a small dose of suboxone help someone in pain? Again, thank you. Buprenorphine is very helpful for pain. It is available by prescription in the form of Belbuca and Butrans, both of which are FDA approved fir chronic pain. There is an injectable as well for called Buprenex. Where can I find a doctor that uses Belbuca in Virginia Beach, Virginia or Norfolk or Chesapeake VA? I found a doctor that used it and it was the only thing that helped me but then my insurance wouldn’t cover that doctor. And I haven’t been able to find another doctor that helps. I don’t like the standard narcotics or opioids it’s because they make my head Visee and make it so that I can’t think straight. Does anyone know or can anyone help me get in contact with the doctor they can prescribe Belbuca? I have a chronic syndrome called Claudia Equinia syndrome and I live and so much pain that I finally now know why people commit suicide. PS I’m not suicidal I just never could understand it and now I do because it’s hard to wake up every day wishing the pain would end. Thank you very much. John, I don’t know anybody in MS however most pain specialists would probably be agreeable to this if indicated. I would search for a pain clinic in your area, gonin for an assessment and discuss this. I have recently been prescribed Belbuca to date 8/2017. prior history since 1995 have been on MS Contin 60 mg every 8hr. With no increase. After 7 surgeries I had substantial relief and quality of life. In 2015 now 20 years later my pain Dr request that this prior dose is not acceptable and reduced to 30mg per 8 hrs. Then 08/2017 revised again to 425mcg q12 Hours. I have been open to trials for new Opioid restrictions. However I find the efficacy of this Med troubling for reduction of long term chronic pain. I’m experiencing severe side effects with Gastro issues and debilitating headaches and minimal pain reduction . My weight has ballooned 22lbs in the 75 days I have been taking Belbuca. I know what has worked in the past and am at a loss of how to navigate this issue with all the rules and regs on agonist meds. Is there a path way to manage chronic pain with no success on alternative meds including Belbuca and Subtext. I hope this is helpful to the people that have not had the positive success others are experiencing. It is very hard to determine comparable MEDD values for Belbuca,especially given that CDC has assigned the same conversion factor to all buprenorphine products. Can you expound on how you convert/compare Belbuca MEDD to morphine MEDD. Summary: Comparison of the Cmax buprenorphine serum levels results in a conversion factor of 10mcg/hr=300mcg/day when transitioning in either direction between TD buprenorphine and buccal buprenorphine. Using this conversion (and assuming the current morphine to TD buprenorphine equivalency programmed in the PPM calculator), a morphine equivalent of ~40mg/day would equal ~300mcg/day (150mcg q12h) buccal buprenorphine when transitioning from a full-agonist opioid to buprenorphine. A morphine equivalent of ~45mg/day would equal ~300mcg/day (150mcg q12h) buccal buprenorphine when transitioning from buccal buprenorphine to a full-agonist opioid. See detailed information below. 1. Bai SA, Xiang Q, Finn A. Evaluation of the Pharmacokinetics of Single- and Multiple-dose buprenorphine buccal film in health volunteers. Clin Ther. 2016 Feb;38(2):358-69. 2. Butrans [Package insert]. Purdue Pharma. Stamford (CT): 2014. 3. Webster L, Gruener D, Kirby T et al. Evaluation of the tolerability of switching patients on chronic full mu-opioid agonist therapy to buccal buprenorphine. Pain Med. 2016 Feb 25. [Epub ahead of print]. Thank God for a Doctor that understands this amazing drug. After 15 plus years on every prescribed opiate, my body was breaking down. I wanted off. Many side effects were wagering on my health. A Doctor treated my pain with buprenorphine 8mg 3 per day sublingual. MY LIFE CHANGED, IT LITERALLY FELT LIKE I WAS GIVEN NEW CHANCE ON LIFE. MY pain was controlled, I could work again after many years I could not. I could exercise, I lost 60lb , I never had a weight issue ever, but with no movement, constant pain, depression and severe stomach issues from opiates. Anyway, this drug was a lifesaver . I live in a small town, Doctor retired and I have to date had to go off and have been to so many doctors, they do not know drug, a stigma of abuse attached. Needles to say, weight coming back, pain worse than I have ever felt, depression . I pray to God every night I will find a Doctor to help me. I am in Portland Oregon, is there any doctor you know of that can give me life back with buprenorphine? Dr Peter Kosek at Pain Consultants of Oregon, Springfield Or. I very much appreciated this article and latest research by you and your colleagues. Even though it brings me great sadness to read that once again the pain patients are having to go up against their insurance carriers, Medicare, and State legislatures trying to overcome what always seems to be insurmountable hurdles and skyrocketing costs for the average pain patient across the country. With regards to your comment on Tennessee, my only thought on their inhumane treatment of their chronic pain citizens is yes, in answer to your question, “Moreover, what’s the cost to society to treat these patients in rehab — or do we just bank on an overdose and death?” I believe with the current Adminstration’s promised increase funding to the states for mental health treatment facilities to treat “addiction” without any mention of the chronic pain patient, that may be exactly what the State of Tennessee is counting on. I would hope they’re not counting on the latter, but with heartless legislation and legislators to the needs of the chronic pain, how can we decipher between the two? Thank you for all you do and to the excellent work of colleagues. It seems to state that any formulation of buprenorphine will count against the limit of patients treated by one prescriber who has the appropriate DEA waiver. Unless I am missing something, it appears that a doctor needs a DEA Waiver on his/her DEA registration in order to prescribe Butrans and/or Belbuca, even if prescribing them for chronic pain. Belbuca and Butrans only have an indication for chronic pain. Both are schedule 3 drugs which can be refilled an neither required any sort of waiver or special certification. Evident in your report is how much we don’t know about clinical use of ‘bup’ in pain treatment. I have wondered about concomitant use with pure agonists for B/T pain and look forward to news from next month’s PAINweek. What about efficacy for patients who require doses > 200 mg MEDD. What do we know of tolerance and opioid rotation after long term use of bup. Then there is the legal hurdle – special DEA licensure is required to prescribe bup. Primary care physicians at the front line of pain Tx are unlikely to have this Rx authority, and would be reluctant to acquire such a credential. The bias against opioids goes both ways. As a patient, I do not want to see the diagnosis coding for the millions of people living with intractable pain who depend on opioid analgesics to change from opioid dependence (uncomplicated) to opioid abuse disorder, if there is no evidence of addictive disorder. Moving a large segment of people into the realm of addiction medicine carries repercussions far beyond medicine, from employment discrimination to the cost of life insurance. While bup may have benefits for some, let’s carefully consider each step along what may be a slippery slope on the path to the future of medical treatment of America’s#1 health issue — chronic intractable pain. Thank you form your comments. While buprenorphine products approved for opioid abuse disorder do require certification for prescribing to patients with that diagnosis ONLY, that is not the case with Belbuca or Butrans. They both are FDA approved for chronic pain and neither requires ant special training to write a prescription. 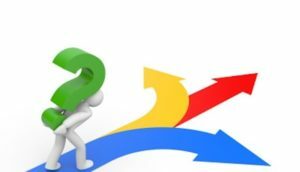 regarding your question on MEDD, at moderate to high doses of buprenorphine, pure opioids will with not work at all or their activity will be significantly blunted. That is because buprenorphine has a higher affinity for the opiate receptor than the pure opioid agonists used for breakthrough pain and therefore buprenorphine is not easily displaced by a pure opioid agonist. See Fudin J, Srivastava A, Atkinson TJ, Fudin HR. Opioids for Surgery or Acute Pain in Patients on Chronic Buprenorphine. In Aronoff G, ed., Medication Management of Chronic Pain: What you Need to Know. Publication pending, Trafford Publishing. You hit the nail on the head. One example of this strange molecule is how to address acute pain or ER setting. A local pharmacy was threatened with loss of licensure for filling a breakthrough or rescue medication along with Suboxone. This causes precipitated withdrawals and is absolutely contraindicated. This is so because of buprenorohine’s binding affinity blocks effects of real opiates/opioids and reolaces itself at those receptors. SO over rated as an analgesic. My pain specialist, who is always well-informed and anxious to improve my quality of life, asked me to research the feasability of switching me to a buprenorphine product. Your previous columns were extremely useful in explaining the mode of action and listing the various formulations of available products, thank you! From there I went to my dedicated supervising pharmacist, who told me to rule out Belbuca, as she is never able to fill more than one rx of Belbuca for any patient; it is not included in any insurance formulary she has ever encountered, and the coupon offered by the manufacturer can only be used once. So I interrogated my super-intelligent and sympathetic family medicine specialist, who serves as my primary care practitioner. She said that in the recent past she has seen 5 pain patients helped tremendously by buprenorphine, rx’d by pain specialists to whom she referred these patients. However, none of these patients, covered by various insurance companies, were allowed to stay on the buprenorphine–in any form–past a month or two: no matter how well the pre-authorization paperwork was filled out and how repeatedly the patients appealled to their carriers, all 5 were cut off because they are not addiction patients, so the buprenorphine use was judged off-label and thus not covered. Not for the first time I downloaded my own insurance company’s complete drug formulary (I am disabled, thus on medicare plus the most commonly used medicare supplementary coverage provider): NO FORM of buprenorphine is covered at any co-payment level AS AN ANALGESIC. Five buprenorphine-containing products are covered at some level as “Opioid Dependent Treatments”. Thanks for posting this Jeff Fudin! I wish the bean counters would get out of health care! I know of many patients that are candidates for buprenorphine and insurance blocks access to these drugs. Keep up the good work you do in pain management!